Categories: Chaitanya Mahaprabhu, Divine Names, Mahans. Nama sankirtan (singing Lord’s names) is shown as the apt path for Kali Yuga. One might ask, why Nama sankirtan? In our day-to-day affairs, we tend to look for the easiest or the simplest of the available options. 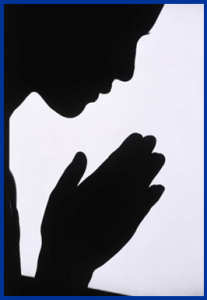 So, in the spiritual path also, when following rigorous austerities is next to impossible, why not adopt the easiest way to attain the feet of the Lord? How difficult is it to say the names, “Rama”, “Krishna” or “Hari”? Saint Tyagaraja sings, “Chakkani Raaja Maargamulundaga Sandula Dooraneelee Oo Manasaa!” It means, “Oh Mind! When there is the royal path, why choose the bylanes?” This royal path to salvation is Nama sankirtan. And, to establish this path as the apt dharma for the Kali Yuga, Lord Krishna himself incarnated as Chaitanya Mahaprabhu in the 15th century AD. Chaitanya Mahaprabhu lived on this earth for 48 years. But, in those 48 years, he reached out to millions of people and transformed their lives. Chaitanya Mahaprabhu was born to Sachi Devi and Jagannath Misra on the full moon day during the month of Phalgun in a town called Navadweep. He was given the name Viswambar. Fondly, he was known as Nimai. As a kid, whenever he cried, his mother had to sing “Haribol” to soothe him and calm him down. As a result, the Divine Names constantly resounded at his house. By the age of 12, he mastered all the scriptures and became a renowned scholar in Navadweep. During this time, his father passed away. So he started a school in Navadweep to support himself and his mother. At his mother’s insistence he married Lakshmi Devi and later, when she passed away, he married Vishnupriya. 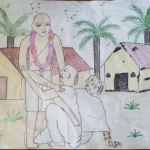 From 12 years till he turned 24, he practiced grihastha ashrama (life of a householder). 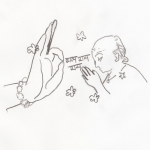 He met Iswara Puri Maharaj in Gaya and received mantra upadesha from him. This incident transformed his life! 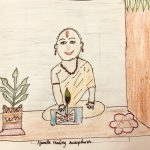 After he returned from Gaya, he closed his school for good and gathered a few devotees in Navadweep and spent all his time and energy doing Nama sankirtan, and chanting the Mahamantra. At the age of 24, Mahaprabhu took sanyasa and received the name Krishna Chaitanya. He traveled all over India on foot and spread the Divine Names of the Lord in each of the towns he visited. By the age of 30 he finished all his travels and he spent the last 18 years of his life in Puri continuing to do Nama sankirtan. When we read or hear Sri Chaitanya Mahaprabhu’s life history, it is quite evident that spreading the Divine Names was his mission. But there is one particular incident in which Mahaprabhu himself states the purpose of his incarnation. When Mahaprabhu was doing Nama sankirtan in Navadweep, some people could not tolerate it. So they wrote to the Kazi (the officer-in-charge of the town) falsely accusing Mahaprabhu. On receiving the complaint, the Kazi passed a rule forbidding Nama sankirtan. Srivasa Pandit, one of the earliest devotees of Mahaprabhu, was really worried but hesitated to inform Mahaprabhu. As he worriedly contemplated the situation in house, he suddenly heard a roar and saw Mahaprabhu at the door. He realized Mahaprabhu was in the spiritual mood of Lord Narasimha. In that spiritual mood, Mahaprabhu commanded Srivasa Pandit to worship Him. An overwhelmed Srivasa Pandit did as he was told, with great reverence. Saying this, he patted Srivasa Pandit’s six-month old granddaughter, Narayanee, who was sleeping in the cradle. And, a miracle happened! The six-month-old baby who had not even learnt to talk started singing the Names of the Lord. Following this, Mahaprabhu became his old self. Then a huge nagara sankirtan (singing the Lord’s Names on the streets) led by Mahaprabhu was conducted in Navadweep. All the people, including the ones who had complained against Mahaprabhu participated and happily chanted the Mahamantra. The Kazi apologized to Chaitanya Mahaprabhu and revoked the rule against Nama sankirtan. 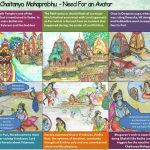 It was Chaitanya Mahaprabhu’s vision that the Mahamantra should resound from all the corners of the world. On the auspicious occasion of Chaitanya Mahaprabhu’s jayanthi which falls on March 8, 2012, let us all pray to Him to fill our lives with the Divine Names of the Lord.